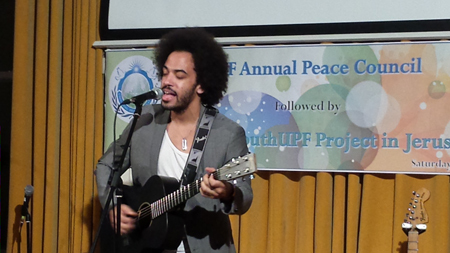 The Youth UPF Concert to raise funds for a peace project in Jerusalem took place at the conclusion of the UPF Peace Council. Many volunteer performances were dedicated to this cause in an exciting and varied evening organised by the Youth UPF team. Through this concert Youth UPF are raising funds for a Jerusalem Youth "Learning to Live Together in Harmomy" Project - as part of the Middle East Peace Initiative. We will be carrying out service projects between 18th ~23rd, December visiting NGO'S that try to promote peace between Israel and Palestine. Please see the fundraising link (www.gofundme.com/idomybit), you will find a little more on this particular project for Jerusalem. More than 120 people came during the course of the evening to support the cause. Some clips will be uploaded on YouTube soon.